Vidatherapy Are You Burnt Out? Sign up for our Baby massage with reflexology 4 week course. Do you have days when you feel fed up, overloaded or unappreciated? Most of us have days when the continuous monotony of keeping the plates spinning goes unnoticed; when dragging ourselves out of bed requires tremendous effort. 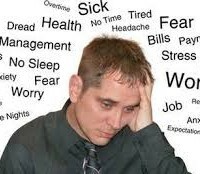 If you are feeling like this every day you may be on the way to burning yourself out! 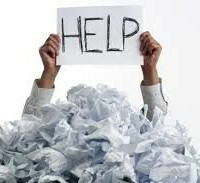 It happens when you feel overwhelmed and unable to meet constant demands. You have feelings of emptiness, become devoid of motivation, and beyond caring. People experiencing burnout often don’t see any hope of positive change in their situations. While you’re usually aware of being under a lot of stress, you don’t always notice burnout when it happens. So what causes burnout? Anyone who feels overworked and undervalued is at risk – from the hardworking office worker who hasn’t had a holiday or pay rise in years to the frazzled stay-at-home mum struggling with the heavy responsibility of taking care of three kids, the housework, and her ageing parents. Other contributing factors include lifestyle and certain personality traits. What you do in your downtime and how you look at the world can play just as big a role in causing burnout as work or home demands. Work related causes could include feeling like you have little or no control over your work. Noticing a lack of recognition or reward for good work. Experiencing unclear or overly demanding job expectations. Doing work that’s monotonous or unchallenging or working in a chaotic or high-pressured environment. Lifestyle causes can follow a pattern of working too much, without enough time for relaxing and socializing. Being expected to be too many things to too many people. Taking on too many responsibilities, without enough help from others. Not getting enough sleep and missing out on close, supportive relationships. Personality traits can flag up perfectionist tendencies; nothing is ever good enough. Having a pessimistic view of yourself and the world. Displaying a need to be in control, reluctance to delegate to others and being a high-achieving type A personality. Physical – Feeling tired and drained most of the time, feeling sick a lot, having frequent headaches, back pain and muscle aches. Noticing a change in appetite or sleep habits. Emotional – Experiencing a sense of failure, self-doubt and loss of motivation Feeling helpless, trapped and defeated, detached and alone in the world. Becoming cynical with a negative outlook. 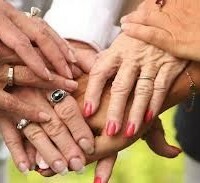 Behavioral – Withdrawal from responsibilities, isolating yourself from others. Procrastinating and taking longer to get things done. Using food, drugs or alcohol to cope. Taking out your frustrations on others. If you pay attention to these early warning signs, you can prevent a major breakdown. If you ignore them, you’ll eventually burn out. Here’s some prevention tips to keep you more balanced and in control. Start a relaxing ritual. Spend at least fifteen minutes meditating, writing in a journal, doing gentle stretches, or reading something that inspires you. Adopt healthy eating, exercising, and sleeping habits. This will give you the energy and resilience to deal with life’s hassles and demands. Set boundaries. Don’t overextend yourself. Learn how to say “no” to requests of your time. Remind yourself that saying “no” allows you to say “yes” to the things that you truly want to do. Take a daily break from technology. Set a time each day when you completely disconnect. Put away your laptop, turn off your phone, and stop checking emails. Nourish your creative side. Creativity is a powerful antidote to burnout. Start a new project, or resume a favorite hobby. Choose activities that have nothing to do with work. Learn how to manage stress. Taking advice from a professional therapist, life coach or personal trainer can help you regain your balance. Slow down. You need to force yourself to slow down or take a break. Cut back whatever commitments and activities you can. Give yourself time to rest, reflect, and heal. Get support. Your friends and family are more important than ever during difficult times. Turn to your loved ones for support. Simply sharing your feelings with another person can relieve some of the burden. Reevaluate your goals and priorities. Take time to think about your hopes, goals, and dreams. Burnout can be an opportunity to rediscover what really makes you happy and to change course accordingly. Getting your life in balance is key to diminishing prolonged periods of stress. Life is about experiencing as often as possible happiness, joy, love, laughter and fulfilment. Acknowledging the balance you need to find in your life will help you to put into practice these vital aspects as often as possible. 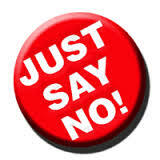 Remember you can practice – “Learn to say No for the good in order to say Yes for the best! “ John C Maxwell.